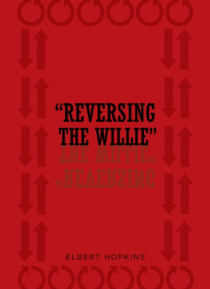 Reversing the Willie has been part of my life. Hopefully, after you read it, it will become part of your life. It was written to bring people together in understanding and to increase the quality of life; even though there are different nationalities and different mind-sets, we are one people and that should be a people of God. Everyone and everything is equal in Gods eyes. He is not a respecter o… r persons. We ought to come together, helping one another in all aspects of life, instead of making it a competition to see who is better. And this competition has caused the beginning of envy and jealousy in the world. We need to get along, it has become a constant fight for control and power. There is only one controlling force. That controlling force is God. Seek God for direction; for his master plan.